Ambrose Lanfear Norrie came from a wealthy family. His father, Gordon, owned copper and nickel mines and the family mansion sat at No. 377 Fifth Avenue. So society's attention was piqued when Ethel Lynde Barbey's parents, traveling in Paris, announced her engagement to Norrie on May 15, 1895. Ethel was the daughter of Henry and Mary Barbey. Her maternal grandparents were Peter Lorillard and Catherine Griswold, who came from two of the wealthiest and most venerable of New York families. Norrie quickly took steps to provide a suitable home for his new bride. The former house of General James Grant Wilson, at No. 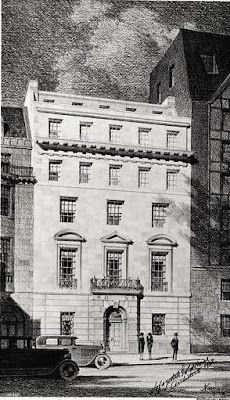 15 East 84th Street, was demolished and the esteemed architectural firm of Renwick, Aspinwall & Owen was put to work designing a fine mansion spanning the plots at Nos. 13 and 15. Completed in 1899, the limestone villa rose four stories. The architects cleverly provided an abundance of light and ventilation by setting the entrance far back from the property line--creating an L-shaped structure. A glass and wrought iron canopy--looking much like a porte cochere--protected visitors from the elements along the walk from sidewalk to doorway. A crisp cornice above the first floor supported a handsome projecting band that simulated a balustrade. The viewer's eye was drawn to fourth floor where an arcade of arched openings wrapped the facade. Each window was separated by elaborate, overblown iron brackets that supported an overhanging tiled roof which evinced a Mediterranean flavor. Norrie was educated as a mining engineer, and was a director of the Buffalo, Rochester & Pittsburgh Railway Company, and of the Ohio Mining and Manufacturing Company. He owned large interests in the Norrie mines and in iron and coal mines. But business was not his focus. He was better known as a "club man," holding memberships in the exclusive Union, Calumet, Metropolitan, Down Town, Riding, Racquet and Tuxedo Clubs. The Norries's names appeared in newspapers only for social reasons. They summered both in Newport and in in "Pequot Colony," in New London, Connecticut; and traveled to Europe. (Ethel's sister, Helene was the Countess Hermann de Pourtales; and her sister Eva was Baroness de Neuflize.) The guest list at Ethel's many dinners and receptions at No. 15 East 84th Street included some of the most recognized names in Manhattan society. On December 11, 1910, just after returning from Europe, Norrie contracted pneumonia. He died eleven days later. His funeral was held in the house on December 29. Norrie's estate, valued at $842,117 (about $21.7 million today), hinted at his lifestyle. The New York Times reported "He owned at the time of his death about $4,000 worth of wines and liqueurs." Included in the list were bottles of 1906 Chateau Yquem Sauterne worth $1,528.56. Following her mourning period, Ethel resumed her social schedule, hosting dinners followed by bridge, musicales or other entertainments. Then, in April 1914, she sailed for Paris ostensibly to visit her sister. A month later, on May 20, The New York Times reported that "according to word received here" Ethel had announced her engagement to Count Odet Armand Marie de Jumilhac of Paris. "Count de Jamilhac is a member of a well-known titled family of France," said the article. "He is a relative of Duke de Richelieu." On December 31, 1916 The Times mentioned "Mr. and Mrs. Charles F. Hoffman have given up their residence at 620 Fifth Avenue and have taken the house of the Countess Jumilhac of Paris, at 15 East Eighty-fourth Street." The following year, on November 18, The Sun reported the couple had arrived from Newport and "are in their new home" here. Charles Frederick Hoffman, Jr. and his wife, the former Zelie Preston, continued to lease the house from Ethel until June 1919 when she sold it to the couple. It was assessed that year for $175,000, or $2.75 million today. Ironically, two months later, on August 28, Charles died in the family's summer estate, Armsea Hall, in Newport. Newspapers were astonished by one stipulation in Hoffman's will. The Hoffman's only child, Marian, who was 17 years old, was to receive an income of $50,000 per year and that amount had to be "expended annually" in order "that Marian may keep up the state of life suitable to one in her situation." The schoolgirl was also in line to receive a trust fund of more than $1 million left by her grandfather upon her coming of age. Zelie leased the mansion to Howard W. Maxwell and his wife, Helen. The family's summer estate was in Glen Cove, Long Island. Their son, Howard, Jr. had served in the air forces of the Navy during the war and had just graduated from Princeton. Excitement over young Howard's upcoming marriage to Betty Jackson came to an abrupt end on May 23, 1921. The ceremony was to take place at the summer estate of the bride's parents, Inisfad, near Roslyn, Long Island. All the arrangements had been completed and a special train was contracted to take the guests to and from the wedding. Then the New-York Tribune reported "Announcement has been made of the breaking by mutual consent of the engagement." The Maxwells would soon have to find a new city residence. 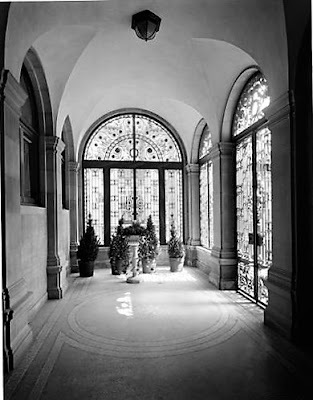 On March 12, 1922 The New York Herald hinted at rumors that "the big house of the Charles F. Hoffman estate" had been sold to Edward H. Doheny, president of the Mexican Petroleum Company, Ltd., of Delaware. The article said "Mr. Doheny attracted attention recently as an independent oil operator." Five days later the newspaper confirmed the rumors. Doheny had paid $300,000 for the house and three-story garage directly behind the property at Nos. 16-18 East 85th Street. Doheny wasted no time in updating the residence, installing a new oil furnace and a replacement elevator in September. In addition to oil, the 29-year old Dohney was deeply involved in motion pictures. 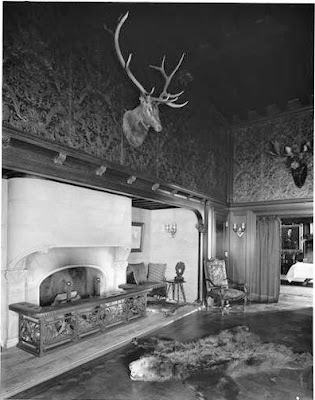 He owned an estate, Greystone, in Beverly Hills, California which, according to The New York Herald on March 12, 1922, "penetrates a canyon not far from Miss [Pauline] Frederick's home, but a frieze of eucalyptus hides it from public view. In the same neighborhood Mme. [Alla] Nazimova has a yellow citadel." The same newspaper noted in July that year that it was Doheny who backed the career of swashbuckling silent star Douglas Fairbanks. The article said he "is said on good authority to be the financial figure who enables Doug to jump from rooftree to rooftree with a clear mind, so he won't miss his step." The newspaper said that Doheny "poured all the money into 'Robin Hood' like oil." Doheny's life would play out like a Hollywood thriller. In 1924 he was entangled in the Teapot Dome investigation as the messenger who carried the "little black bag" containing $100,000 in cash to Secretary of the Interior Albert B. Fall. 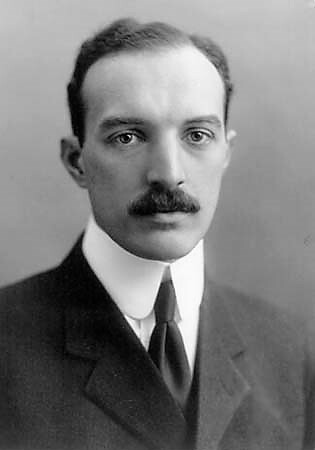 The money was reputedly a bribe to induce Fall to sign over the Navy's oil reserves to Doheny's father. 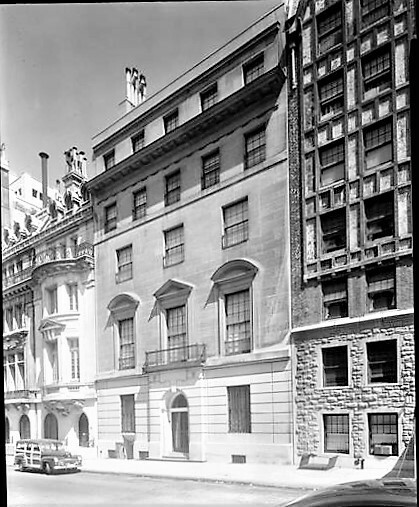 It was possibly his indictment and the long trial that prompted him to sell the 84th Street mansion to Elizabeth Mills Reid, widow of editor and diplomat Whitelaw Reid, in 1927. By now Doheny's former chauffeur, Hugh Plunkett had risen to what The New York Times called his "confidential secretary and companion." A designated guest bedroom in the Beverly Hills mansion was often used by him. On the night of February 16, 1929 Plunkett arrived at Greystone in an agitated state. Around 10:30 Doheny called his physician, Dr. E. C. Fishbaugh and asked him to come by. Plunkett, he said, had a sore throat and "hysteria." When Fishbaugh arrived the five Doheny children were asleep. Lucia Doheny told the doctor her husband and Plunkett were in the guest bedroom. As she and the doctor headed down the hallway, Plunkett burst forth, shouting "You stay out of here!" and slammed the door. A moment later a gunshot was heard. Fishbaugh sent Lucia back to the living room and forced his way into the room. Doheny's body was on the floor, in his pajamas. He told investigators later, "To the best of my recollection Plunkett was fully clothed." In the meantime, Elizabeth Mills Reid had immediately transferred title of the 84th Street mansion to her son, Ogden Mills Reid. 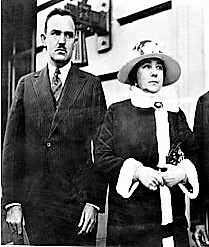 Whitelaw Reid had left an estate of nearly $20.5 million in 1912 and Elizabeth was intent on distributing most of it to her two children before her death, thereby circumventing estate taxes. 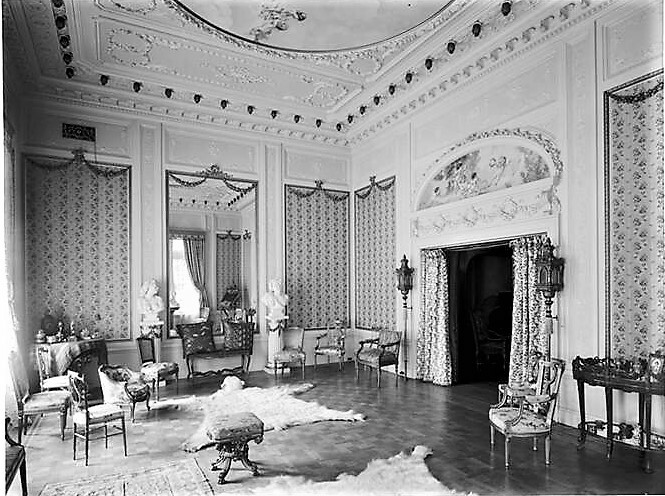 She had earlier presented Ogden with the title of her massive country estate, Ophir Hall, in Purchase, New York. Reid hired architect Lafayette A. Goldstone to remodel the former Norrie mansion. The Italian Renaissance remake, completed in 1928, left no trace of the Renwick, Aspinwall & Owen villa. The full facade was pulled forward to the property line and the entrance centered. The restrained design depended on elegance rather than ornament to made its statement. Lafayette A. Goldstone's 1928 rendering included costly limousines and well-dressed passersby. Above the rusticated limestone base, only the openings of the piano nobile were graced with Renaissance pediments. A stone cornice separated the fourth and fifth floors; while a sixth floor sat back, nearly hidden from street level. Reid's wife, Helen, had been his mother's private secretary. Educated at Barnard, she earned the position of vice-president of the Tribune and reportedly had as much to do with the day-to-day running of the newspaper as her husband. Inside the remodeled mansion were irreplaceable works of art. Included were a Charles Wilson Peale portrait of George Washington; a Gainsborough painting of Lady Glenorchy; a portrait by Sir Henry Raeburn of the Countess of Aboyne; and an oil portrait by 17th century Spanish artist Francisco Zurbaran. Of the many social events hosted by Ogden and Helen, perhaps none was so notable as the luncheon on April 23, 1931. King Prajadhipok of Siam and his wife, Queen Rambhai Barni, were guests of Ogden's mother. The New York Times reported that the king "set up the temporary capital of Siam yesterday at Ophir Hall." On April 24 the newspaper reported "The royal couple unexpectedly left Ophir Hall late yesterday morning...In the car with the King and Queen were the Siamese Minster to the United States, Prince Amoradat Kridakara, and Admiral Mom-Chao Thavara Chayant, physician in ordinary to the King." The limousine was headed to the Reid mansion on East 84th Street. There a luncheon, termed "informal," was served. The Times noted "it was understood that there were no guests other than the immediate party." Afterward Helen took the Queen shopping on West 57th Street. "The visit was so unostentatious that many of the employes of the shop did not know of it." The Queen apparently enjoyed her shopping trip, because later in the afternoon "several bundles and hat boxes arrived at Ophir Hall." The King and Queen met up later at the Reid mansion and remained for tea. This time there were a few guests, including Raymond B. Stevens, adviser on foreign affairs to the Siamese Government, and Ralph Hayes, president of the Transamerica Corporation. The Reids experienced two unrelated but equally disturbing events involving servants. In September 1936 25-year old Herbert J. Marlow was hired to work in the house. Two months later, on November 6, he went to the Hotel Bristol on West 48th Street and jumped to his death from the 10th floor. Reid's personal secretary, Polly Howell, was called to the scene to identify him. He had left five notes, one of this was addressed to Ogden Reid, and another to Polly. Edna Tellin, a maid, lived in the Reid mansion. The 47-year old left the house two weeks after the tragedy on her day off. She never returned. It was obvious she had not simply abandoned her position, since there was $264 in cash in her room and $10,000 in her savings account. On December 31 her body was discovered in the Harlem River. The cause of death could not be established. The Times reported "The police estimated the body had been in the water about a month. It bore no marks of violence." Ogden Reid developed an ulcerous throat in December 1946. He was treated at the Columbia-Presbyterian Medical Center and seemed to have responded well. But he developed pneumonia and died on January 3, 1947. Reid's estate, valued at just under $9.5 million, included generous bequests to servants and employees. Polly Howell received $5,000 (about $53,000 today), as did four others, including E. Edward Ridout, who managed Ophir Farm. Other staff members in the 84th Street house received $2,500. 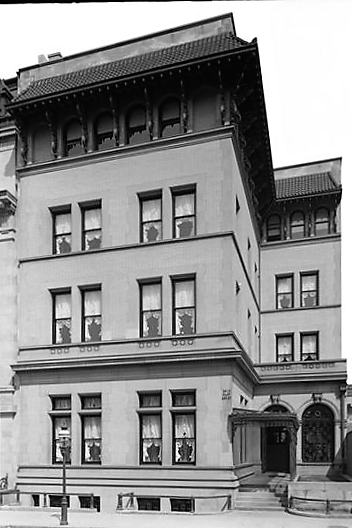 The Reids' sons, Ogden Rogers and Whitelaw, were both still living in the 84th Street house with their mother. The property was now assessed at $340,000. Helen sold it in July 1950 to the American Jewish Congress. 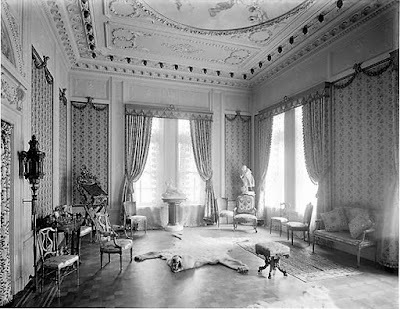 The group announced that it would used the mansion as "national headquarters for the executive offices of both the congress and the World Jewish Congress." Named the Stephen Wise Congress House in memory of the deceased rabbi who had headed both Congresses, Rabbi Irving Miller said it "would house an assembly hall for conferences of scholars and social scientists." When the Stephen Wise Congress House was dedicated on April 15, 1951, President Harry Truman sent a tribute. For half a century the Stephen Wise Congress House was the venue for dynamic discussions about issues like Zionism, refugees, and Palestine. Exhibits of Jewish artists were routinely staged here. In 2004 the mansion was sold to the Institute for the Study of the Ancient World. Run by New York University, it is a center for scholarly research and graduate education of ancient civilizations. Both doctoral and postdoctoral programs are offered. One of the few instances where I like both versions of the building. And while I think the previous version's porch was interesting, I imagine the current version works better with how the city currently works.